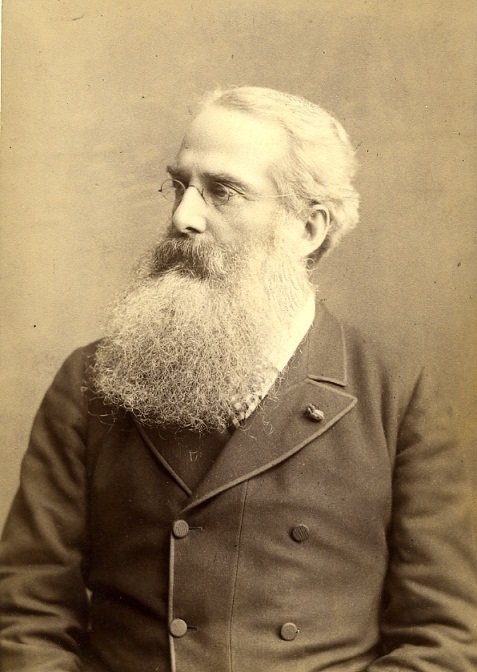 Liberal Bohemian: Esoteric Sunday: Roots of Spiritualism. 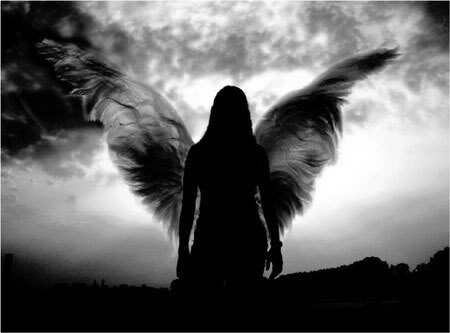 There are people living among us who can see the world of angels as clearly as they can see the rocks and stones and trees that the rest of us see. These people have many names, some of them rude, but for now, we will call them mystics. Sometimes they live and work within organized religion, but more often they live apart. They tend to be solitary, perhaps lonely figures. 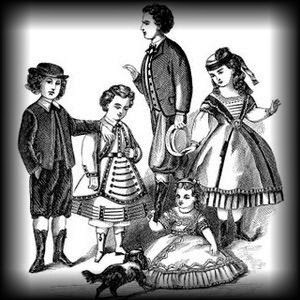 Zephaniah Eddy was working on the farm one day when he saw his two sons playing with feral children he had never seen before. When he went after these strange children, they seemed to vanish in mid-air. The old man hauled the brothers over to the barn and beat them with a rawhide whip; he had long worried about a history of witchcraft in his wife's family and now wanted to do everything he could to stamp it out. But as the boys grew older weird things continued to happen -- slates, tables and inkwells flying around the house, strange pounding noises and disembodied voices. Spirits appeared, including a creature with white fur that the boys said sniffed at their faces when they were in bed, they grew larger until it turned into a luminous cloud with a human shape. Zephaniah grew increasingly alarmed and when the boys fell into trances he would sometimes beat them, even pour boiling water on them or singe them with burning coals -- anything to try to make them snap out of it. 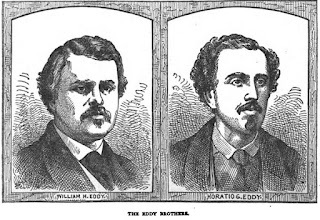 The Eddy brothers left home as soon as they could, but then they were stoned, stabbed, manacled, tortured and even shot at by angry mobs, and they returned home, to the small, basic farm in Vermont, when their father died. They remained scarred, sullen, suspicious of the world, but news that the farm was infested with spirits began to spread. Henry Steel Olcott was a successful attorney. He had been a colonel in the Union army, where he had been responsible for investigating fraud and corruption in arsenals and military shipyards. He was also a prominent Freemason and one of a panel of three men charged with investigating the assassination of Lincoln. 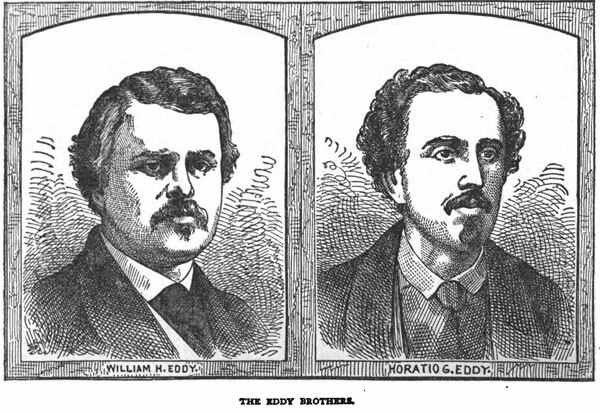 In 1874 he was sent to investigate events at the Eddy's farm and he traveled there, accompanied by an artist called Kappas, whose illustrations he would use in a remarkable book, People from the Other World. On his first day he attended a séance led by the Eddys at a local cave, Honto's cave. Beforehand he investigated the location to make sure there were no hidden entrances or passageways. When the séance started, he was amazed to see a gigantic Native American emerge from the cave. Then another appeared, silhouetted on the top of the cave, then a squaw. Afterwards Olcott could find no trace of footprints. He was hooked. He stayed for two and a half months, recording some 400 spiritual manifestations. During his stay he virtually took the farmhouse apart, plank by plank, to prove to himself that he wasn't being duped by trapdoors or other contrivances. A few weeks after Olcott's arrival, another visitor came to the farmhouse. 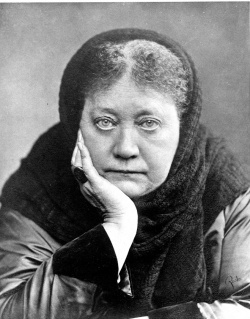 This was Madame de Blavatsky, an eccentric Russian traveler with a well-developed interest in esoteric teachings and a magnetic personality. When she attended séances, some of the beings manifested by Eddy brothers began to speak and write in Russian. New spirits manifested themselves before Olcott and the rest of the company, some of whom Madame Blavatsky claimed to have met earlier on her travels, including a Kurdish warrior and the leader of a band of jugglers form North Africa. What is this insensible something that envelops us like an inner atmosphere, and saturates all whom we meet? What subtle power made the mere touch of an Apostle's robe efficacious to cure disease, and the laying on of a royal hand effect the same result? What human lightning darting from Napoleon's eye converted every soldier into a hero as it fell upon him? What potent spell lurked in the presence of Florence Nightingale, and made the wounded men at Scutari better, if they could barely kiss her shadow as it flitted across their beds? 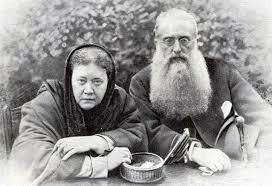 In 1875 Blavatsky and Olcott co-founded the Theosophical Society, with the aim of promoting a universal brotherhood, regardless of race or creed, based on a free-thinking study of world religions. In 1887 Madame Blavatsky published Isis Unveiled, a vast compendium of Rosicrucian lore. She outlined a theology intended to make sense of the explosion of spiritual activity in the second half of the nineteenth century, much of it under the umbrella of Mystic Spiritualism.